I’m all about eating more vegetables any way I can–it makes me feel like Popeye minus the pipe and overbite (because the sailor look is totally in right now). Serve it with red bell pepper sticks for a healthy sweet snack or on top of grilled chicken, taco salads or eggs for a power-packed meal. 2. Place 1 cup water in large stock pot and place a metal steam basket inside. Cover and bring to a boil while you peel and cut carrots into a normal stick size. Place all carrots in the steam basket, cover with a lid and cook for 20 minutes until carrots are tender. 3. Using an oven mitt, pull steam basket with the carrots out of the stock pot when done, place inside metal colander and rinse with cold water. Let cool for 5 minutes and place carrots in a food processor with the remaining ingredients. Blend on low until a hummus consistency is reached, adding more water or olive oil if needed. 4. 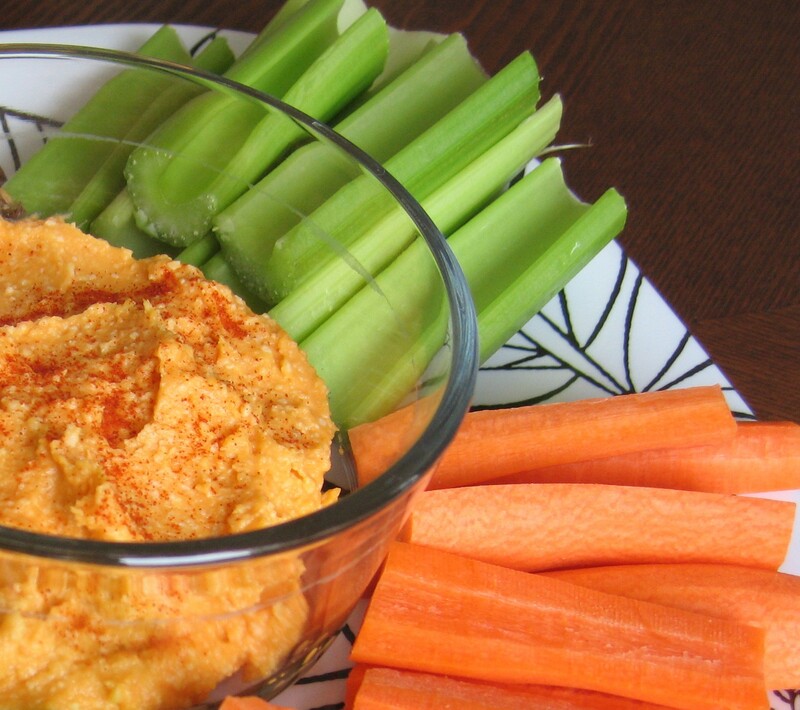 Rock out on your carrot hummus! Basil. Honestly, what’s not to love? Now is the perfect time to enjoy this beautifully blooming herb. I love it chopped fresh on sautéed vegetable salads and I love it in pesto. Since I’m allergic to pine nuts and dairy gives me a less-than-desired pubescent complexion, I opt for my own rendition–skipping the dairy, lessening the oil (most pestos are too oily for my taste) and adding in walnuts. Enjoy it drizzled on fresh vegetables, in place of salad dressing and topped on grilled chicken or scrambled eggs. 1. Place walnuts, garlic, sea salt and 1/2 of the olive oil in a food processor. Blend until smooth. 2. Add basil, the rest of the olive oil and lemon juice to the walnut mixture. Blend until smooth. Add more olive oil, salt and garlic powder if you need to reach your desired taste and consistency. 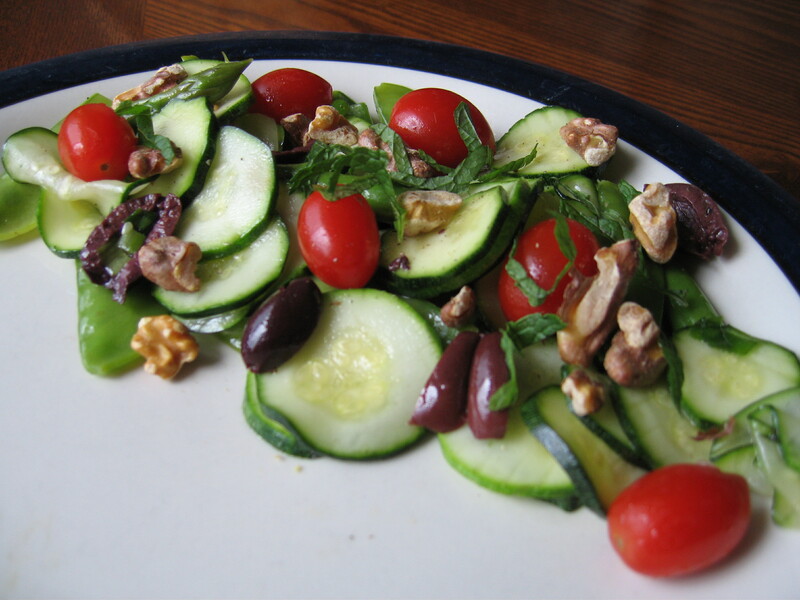 For more ways to eat healthfully and deliciously, visit my recipe page. I grew up on cinnamon applesauce and apples and peanut butter as snacks. When the temps drop, I love nothing more than smelling baked apples and eating a warm fuzzy kind of snack. It’s like a hug in a bowl for your tummy. 1. Soak the raw nuts in water with a pinch of salt for at least 7 hours. 2. Pre-heat oven to 325°. Cut apples in half and core them. Place them cut side up on a baking sheet greased with coconut oil and bake for 45 minutes. 3. While apples are baking, drain and rinse the nuts until the water runs clear. 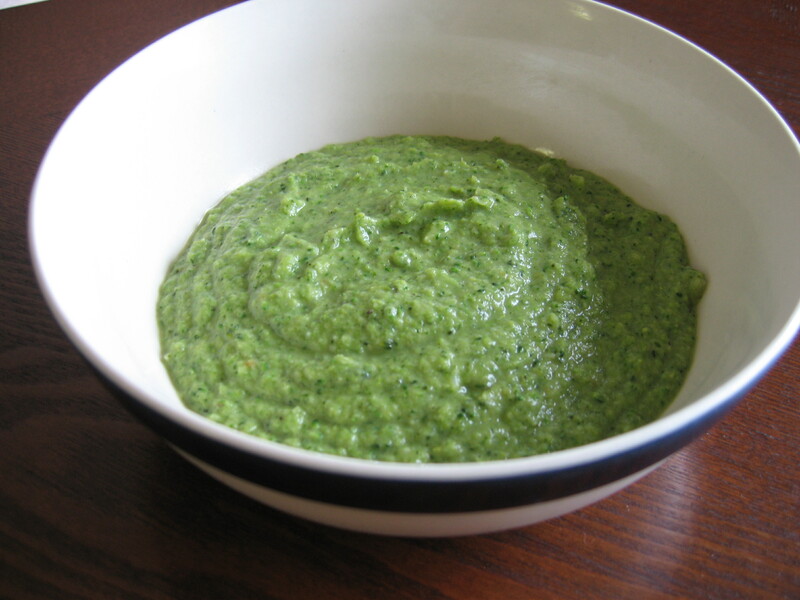 Place in a food processor. 4. Add the baked apples, cinnamon, pinch of sea salt and almond milk to the food processor and blend until porridge consistency. 5. 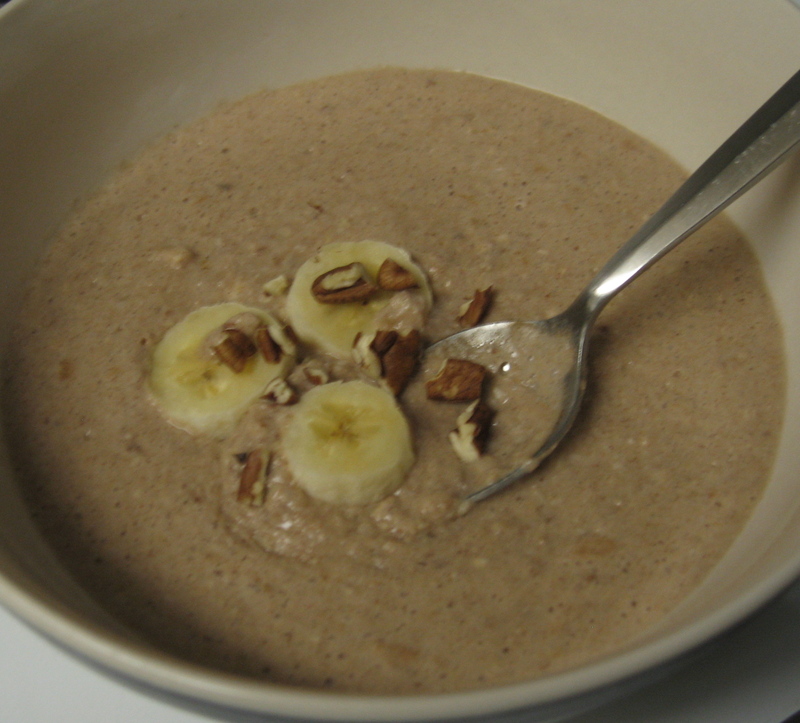 Put porridge in a pot and warm on the stove top. Add more milk if needed and top with crushed pecans and fresh fruit.